Wholesale suppliers of finest baked goods. 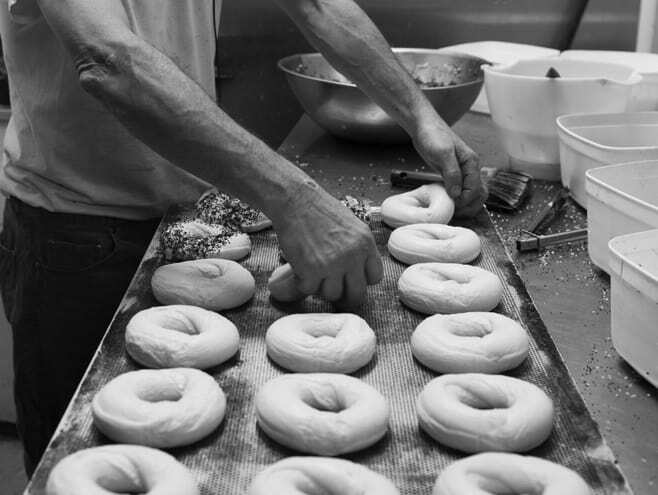 Glick's supply parbaked and fully baked bagels to hotels, restaurants, cafes and delis. We deliver throughout Melbourne and Sydney. Call us or fill in the form below for more information or to set up a wholesale account. We deliver fresh bagels 6 days a week across Victoria. Glick’s bagels are competitively priced for wholesale customers. Choices of raw, par baked and fully baked bagels with up to 8 varieties of toppings and flavours. Choice of large and mini bagels. Next day delivery if ordered by 2:00pm.